Unless we’re hiking on dry pavement, I almost always have my eyes on the path right in front of me. Rocks, tree roots, steep slippery banks, and poison ivy are constant hazards. And I’m old…I could fracture a hip or something. But thank goodness for small distractions that draw my eyes up and away from the ground! An owl in flight, a purple sunset, bright green leaves against and even brighter blue sky are the sights that literally stop me in my tracks and take my breath away. (And, if I’m honest, sometimes I just need an excuse to take a break!) Looking down keeps me safe on the hike, but looking up makes the hike worthwhile. I’m learning the balance: when to keep walking and when to look up. The clues are on the ground. Yesterday after almost a mile of looking down at dark brown frozen mud, I spotted some tiny yellow-orange bits, like little misplaced sea shells. Bittersweet. Time to stop and look up. 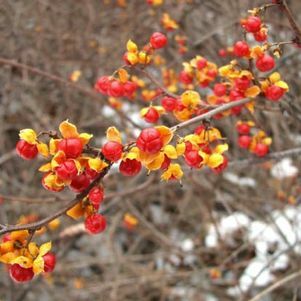 And there it was, a big mess of tangled twisted vines loaded down with the red-orange berries wrapped in the yellowish husks. They’re even prettier with a fresh frosting of snow. What a gift! I would have missed it completely if I hadn’t seen the signs. What we see on the ground tells us about what’s overhead. I often hike through my day to day routine without stopping to look up. Plodding forward, I just keep looking down at the trials and stresses until some emergency forces me to seek God’s help. But if I were to look more closely, I’d find He has been filling my path with signs of His handiwork that is right over my head. There is joy, comfort, kindness, and peace in the little delights and distractions of this journey. A kind word, a great song, the smell of fresh coffee, comfy slippers…sometimes these are carefully placed gifts to make you stop and breathe it all in. And those moments along the path make it all worthwhile. Keep hiking, but don’t forget to stop and look up. An angel must be an awesome sight. And the message they brought certainly rocked the world of all involved–a baby changes everything. 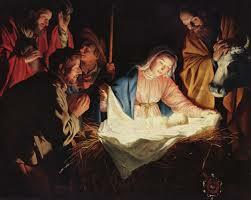 But everything about the Christmas story should evoke some level of awe or fear: God incarnate. God putting on flesh and invading time and space. God entering a virgin’s womb to begin His earthly life as human–just as we do…two cells, then an embryo, then a fetus, and then a baby. This alone should shake-up our souls. Yet we are told to Fear Not. At Women’s Choice Network where I work, our clients understand fear. Before we share the good news (sometimes perceived as bad news) that, “Your pregnancy test is positive,” we must first remind them to Fear Not. There is a way, there is help, there is a comfort. His Name Is Jesus. Tom and I may face many fears in 2015. Our list probably looks much like yours: Financial cliffs, ISIS, Ebola, random violence, Middle East instability, depression, failure, etc. But before God reveals His plan, the Prince of Peace first says, “Fear Not.” We who know Jesus can understand this peace. We know that it’s all really true. We know how the story ends. There is Resurrection, there is victory. 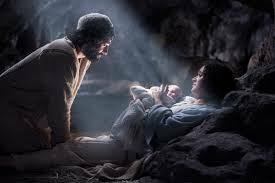 The baby is born to become our Savior, our Suffering Servant, our Salvation. Love conquers fear and death! Good News indeed! As you hike through this Christmas season, keep your eyes fixed on the Good News and Fear Not!